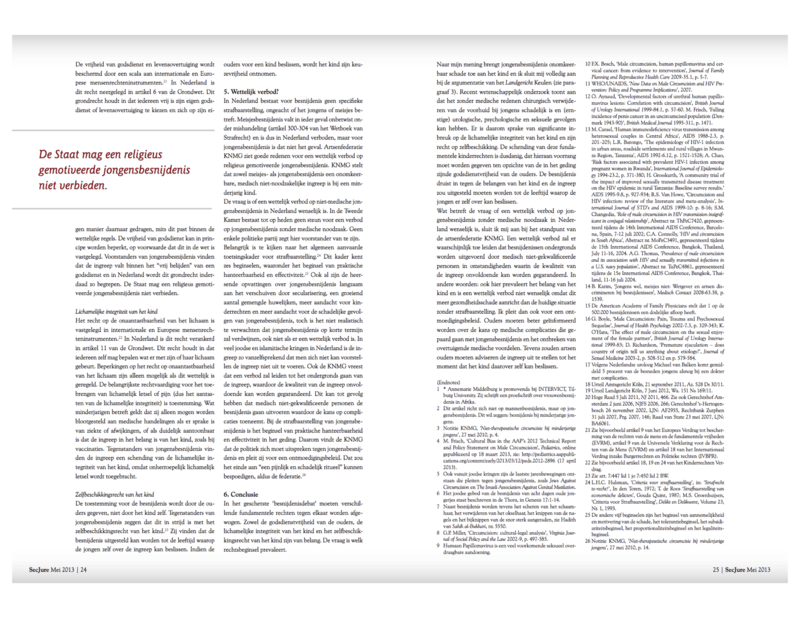 M.J. Middelburg, Vrouwenbesnijdenis: complexer dan wij denken, De Wereldwijven, January 2019, available here. M.J. Middelburg, Interview met Lilianne Ploumen: Vrouwenbesnijdenis is een verschijnsel waartegen we allemaal op zouden moeten staan, De Wereldwijven, January 2019, available here. M.J. Middelburg, ‘Analysis of Legal Frameworks on Female Genital Mutilation in Selected Countries in West Africa’, UNFPA Regional Office for West and Central Africa, January 2018, available in English and French. M.J. Middelburg, Case Note, UN Committee on the Rights of the Child (CRC), I.A.M. (on behalf of K.Y.M.) v Denmark, communication No. 3/2016, CRC/C/77/D/3/2016, 25 January 2018, Jurisprudentie Vreemdelingenrecht, 2018/70, ve18000247, May 2018, available here. A.T. Diop and M.J. Middelburg, Responsabiliser les acteurs concernés par la protection de l’enfant pour l’éradication des Mutilations Génitales Féminines au Mali, au Sénégal, en Gambie et en Guinée: Rapport de capitalisation de l’approche de Save the Children sur la problématique des Mutilations Génitales Féminines (in English: Empowering the actors concerned with the protection of the child for the eradication of Female Genital Mutilation in Mali, Senegal, Gambia and Guinea: Capitalization report of the Save the Children approach on the issue of Female Genital Mutilation), Save the Children International, September 2017 (report not publicly available). M.J. Middelburg, Studying Compliance with the Human Rights Framework in relation to FGM/C in Senegal: A Research Methodology, in: E. Leye and G. Coene, Researching Female Genital Mutilation/Cutting: Proceedings of the 2nd International Academic Seminar of MAP-FGM Project, Brussels University Press, December 2017, p. 69-74, available here. M.J. Middelburg, ‘Female Genital Mutilation’ and ‘Male Circumcision’, in: A.J. Wiesand, K. Chainoglou, A. Sledzinska-Simon and Y. Donders, Culture and Human Rights: Wroclaw Commentaries, De Gruyter Handbook, November 2016, p. 111 and p. 165, available here. M.J. Middelburg and A. Balta, Female Genital Mutilation/Cutting as a Ground for Asylum in Europe, International Journal of Refugee Law, Volume 28, Issue 3, October 2016, p. 416-452, available here. E. Leye and M.J. Middelburg, Female Genital Mutilation in Europe from a Children’s Rights Perspective, in: W. Vandenhole, E. Desmet, D. Reynaert and S. Lembrechts, Routledge International Handbook of Children’s Rights Studies, Routledge, 2015, p. 295-315, available here. M.J. Middelburg and R. Desiderio, Implementation of the International and Regional Human Rights Framework in the Abandonment of Female Genital Mutilation/Cutting, United Nations Population Fund (UNFPA) New York, November 2014, available in English and French. 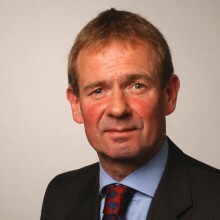 M.J. Middelburg, The Pleasure Doctor Fighting to Restore Clitorises After Female Genital Mutilation, The Conversation UK, 16 June 2014, available here. M.J. Middelburg, Female Genital Mutilation/Cutting in Africa, VN Forum: Publicatie van de Nederlandse Vereniging voor de Verenigde Naties, March 2014, available here. P.E. Bisschop, J.D.W.E. Mulder, M.J. Middelburg and R.M. Letschert, Personenschade en de Wet Tegemoetkoming Schade bij Rampen, SEO Economisch Onderzoek, Rapport No. 2013-44, 2013, available here. M.J. Middelburg, Een Eeuwenoude Traditie onder Vuur: Is Jongensbesnijdenis een Schending van Kinderrechten? Secjure, Volume 27, No. 4, 2013, p.22–25. A. de Vries-Stotijn and M.J. Middelburg, Voorrang van VN-recht op Mensenrechten in Nederland: HR Sanctieregeling Iran, een Stap Richting HvJ Kadi?, Nederlands Juristenblad, Volume 88, No. 24, 2013, p. 1567-1570, available here. A. van Vossole, M.J. Middelburg, C. Arnaut, E. Leye, J. Deblonde, L. Mergaert and S. O’Brien Green, Female Genital Mutilation in the European Union and Croatia, European Institute for Gender Equality (EIGE) Publications Office, 2013, available here. M.J. Middelburg, Krachtige Rwandese Vrouwen, WO=MEN, 20 March 2012. M.J. Middelburg, Een VN-tribunaal voor Piraterij: Een Optie in de Strijd tegen Somalische Piraterij? 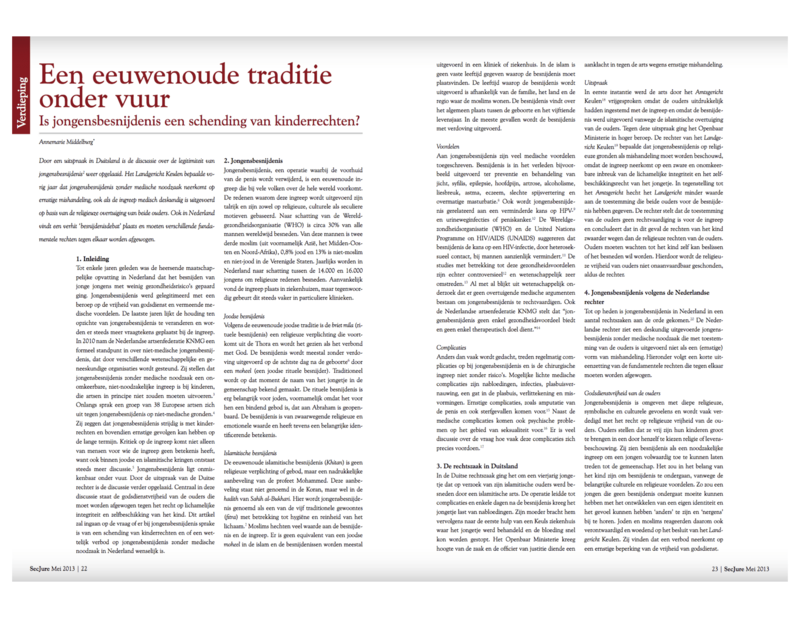 VN Forum: Publicatie van de Nederlandse Vereniging voor de Verenigde Naties, Volume 2011-01, p. 38-42. M.J. Middelburg, Piraterij voor de Kust van Somalië, Secjure, Volume 25, No. 4, 2011, p. 16-17. M.J. Middelburg, Piracy in a Legal Context: Prosecution of Pirates Operating off the Somali Coast, Wolf Legal Publishers, 2011, available here. M.J. Middelburg and C.R.J.J. Rijken, Report on the EU Legal Framework, in: C.R.J.J. Rijken (Ed. ), Combating Trafficking in Human Beings for Labour Exploitation, Wolf Legal Publishers, 2011, p. 355-392. M.J. Middelburg, Wat zullen we doen met de Somalische Zeeman? United Academics, 2010, p. 16-18. Annemarie is curious by nature and has an astounding appetite for knowledge. She works long hours and she is highly disciplined. This enables her to be a prolific writer, as is also testified by her substantial list of publications.